London TechWeek: Think Plan Thrive @ Project Kairos — Think. Plan. Thrive. We were thrilled to be invited to speak at TechXLER8’s Project Kairos this week - where hundreds of dynamic startups were given the opportunity to share their journey. To learn from each other. From industry experts. And to pitch for a chance to win the coveted Project Kairos ‘Innovation of Things Award’. The startup zone was cornered by the Startup Academy on one side, hosting talks and panels with experts - and the ‘Pitch Off’ stage on the other. Project Kairos hosted an extraordinary range of young companies - from peer-to-peer car rental apps, to innovative payment solutions, to the ‘Uber’ of parcel delivery. Imo shared insight form our work into the good and the bad of investment pitching. How to approach building really strong relationships with investors, how to get your early adopter audience to help you build traction and how to build a narrative around your personal journey to finding your company’s vision. Someone asked – what’s the first thing you should do when you have an idea for something? Imo's answer: find the people who care the most about the problem you’re trying to solve. The people who have the greatest need. These people can help you to validate your idea and will also go on to be your early adopters. 1. Find creative ways to build traction. 2. Get to know your audience. 3. Don’t forget yourself - you’re asking someone to invest in YOU. We were invited to sit on the judging panel for 7 fast-paced pitches from tech startups. An exciting session with some impressive teams and ideas. got to the point quickly around ‘what it is’. talked about the people behind the idea and the business. showed real traction – however small and however lo-fi – that offered some evidence that people really want what they’re offering. Top pitches, for me, came from The Local Electricity Project and iNovar! Jared joined a panel discussion looking the challenges of corporate-startup partnership and collaboration. Sharing stories from his time driving change within big companies – he took us through the dangers of not aligning the two sides in terms of both their short term goals and their long-term vision. So often Think Plan Thrive sees collaborations (and the startups themselves) fall short of their potential because constraints, politics, process weren’t addressed upfront. 3. Work out where you might kill each other – whether it’s 90-day payment terms, team politics, or a startup over-promising the rate at which they can scale. ARE YOU A STARTUP LOOKING TO RAISE FUNDING? If you're working on raising a round of investment, it's often difficult to know what to focus on. We work with startups every day, supporting them to find the right route to investment, whilst building winning business plans and pitches. We offer free pitch reviews too - so if you're already on your way to a raise and are in need of some feedback and an objective perspective, drop us an email and we'll book in a call. Thank you for reaching out - I’ll be in touch to schedule a call. I look forward to finding out more about the challenges you’re facing. It’s not hard to imagine how incorporating the power of Google search and the Cloud into a smart-board could lead to a very cool piece of kit. Google have seen the opportunity and teamed up with hardware wizards BenQ to bring the Jamboard to life. We were given a little view into brainstorms and presentations of the future. As companies strive to be more agile and adaptable, tools like these will become essential enablers – moving people away from the static constraints of PowerPoint presentations. Virtual Reality Travel. . . 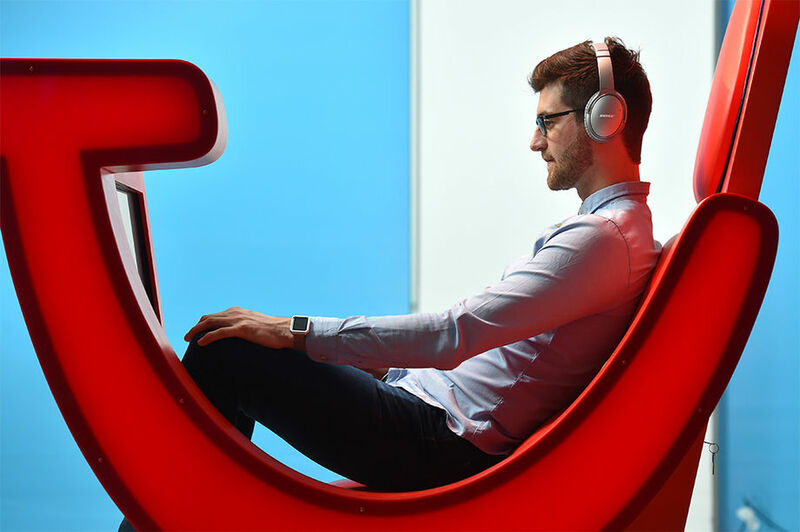 The TUI Group are positioning themselves to be a big part of the future of travel retail. They were showcaseing use of facial recognition and VR experiences to allow customers to explore their choices and get really personalised, curated suggestions for where to spend their money. How many steps away are we from paying for ‘fake breaks’ where we climb Machu Picchu or sail round the Galapagos islands from a convenient studio just down the road, with a wind machine and lights that feel just like the sun. . ? All in all an amazing day – thanks for having us Project Kairos! Antonia is a Junior Strategist at Think Plan Thrive, a London based Strategy company. We help organisations seize opportunity. Execute and grow, fast. We’re passionate about supporting individuals and teams in big companies to drive change faster. In a way that's less risky and drives positive cultural change too.